There are few locations as steeped in history and romantic mysticism as Egypt. Most of us, as children have been enthralled by the tales of Egyptian mythology and thus, visiting the country as an adult, we tend to retain a sense of wide eyed mysticism when feasting our eyes on the wonders of this historically and culturally rich civilization. 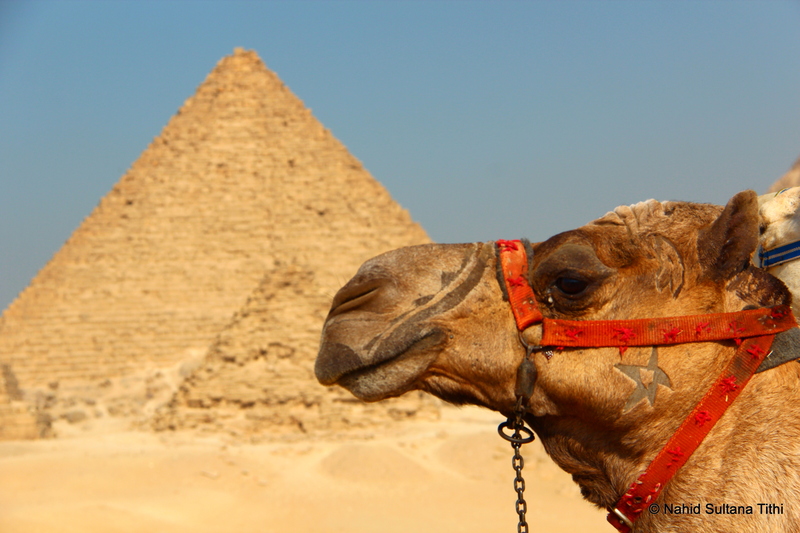 From the pyramids to the Great Sphinx of Giza, Egypt is steeped in exotic history that has captured the hearts and imaginations of Western visitors for generations. The beauty of Sharm El Shiekh is its ability to combine this sense of vivid and romantic history with peerless luxury so that one can explore or relax in this divine city while experiencing a vacation that is unique and full of character. If you want to take your sandals for an airing, you can hit one of Sharm El Sheikh’s many wonderful beach resorts and enjoy the uniquely arid beauty of the coastal regions. Naama Bay is the epicenter of the region’s resort life, boasting ultra-luxurious hotels like the Sharm El Sheikh Marriott Resort and the Royal Savoy. Each offers a subtly different but undeniably luxurious stay from which you can begin your journey across the windswept sandy vistas.Naama Bay is famous for its expansive beach with its pedestrian only promenade ringed with profuse cafes and restaurants. If, however, you’re looking for something more sedate and solitary, we recommend a trip to the Nabq Protectorate 20 km north of Sharm El Sheikh proper. Here you can spend a whole day without seeing another person, although you’ll find plenty of examples of the region’s exquisite wildlife. You’re likely to encounter gazelles and ibexes, and you can even explore the world’s most northerly mangrove forest which is also in the region. For those with a restless sense of adventure, Sharm El Sheikh has a plethora of opportunities to scuba dive or snorkel among the region’s bountiful sea life. The Gardens Reef at the northern end of Naama Bay offers three different snorkelling and diving sites that can be accessed either off the shore or by boat. There’s a richly diverse palette of sea life to be found here to suit veteran divers and neophyte snorkelers. Seasoned divers, however, will be drawn to the vivid coral of Thomas Reef where you can explore the spectacular underwater vistas amidst schools of fish. A trip to Sharm El Sheikh isn’t complete without sampling some of the ancient wonders that give the city and its surrounding regions so much of their character. Take a coach trip to St. Catherine’s Monastery at the foot of Mount Sinai, where Moses is said to have received the Ten Commandments. The ancient site is home to a still functioning Greek Orthodox monastery and is home to the legendary “burning bush” of the old testament. The bustling streets of the Sharm Old Market are also a must for those whose trip is not complete without some friendly haggling. Here you can shop, eat and drink in the unique atmosphere that one would not expect to be able to experience without a time machine. Its been about few days now since we flew to Cairo and it’s already time for us to head back to Belgium tomorrow. I am overwhelmed with all the ancient and modern history that I’ve gathered on Egypt during our stay here. It’s a fascinating country full of extraordinary people. We did everything we wanted to do here including Nile River cruise dinner with belly dance, and sufi dance, riding on camels to go around the pyramids in Giza, great shopping, had some awesome traditional Egyptian dishes, and met some fantastic helpful people… this trip couldn’t have been any better than this.